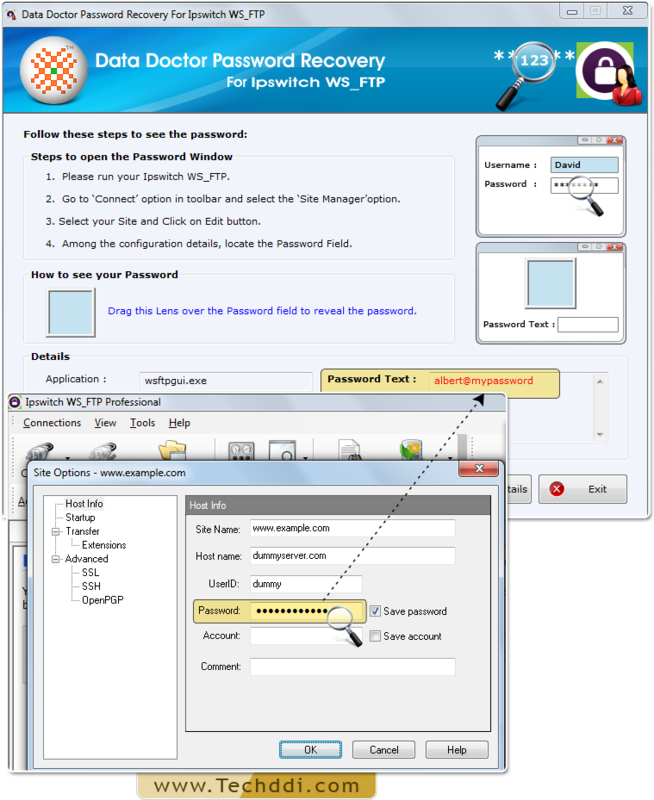 Password Recovery For Ipswitch WS_FTP enables users to get back misplaced and forgotten password from Ipswitch WS_FTP Software within few recovery steps. 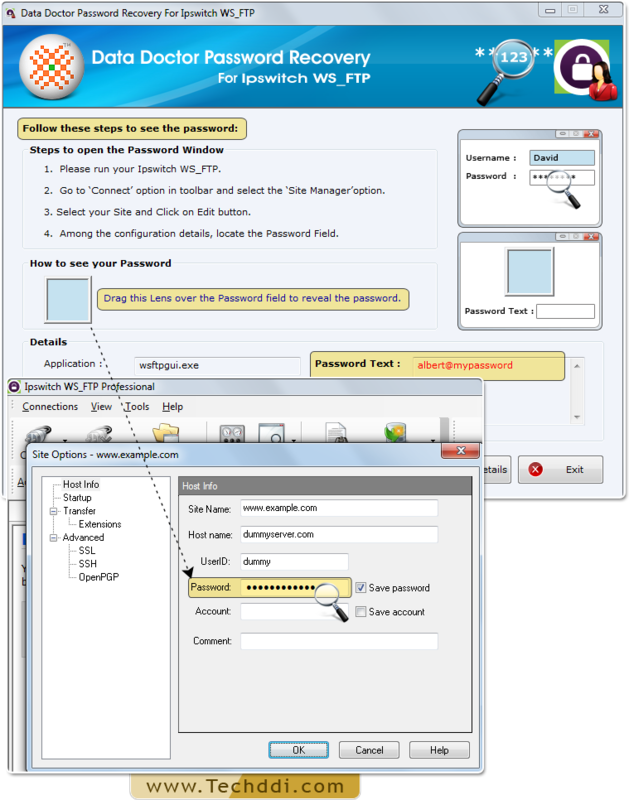 Password retrieval with the help of Password Recovery Software For Ipswitch WS_FTP. 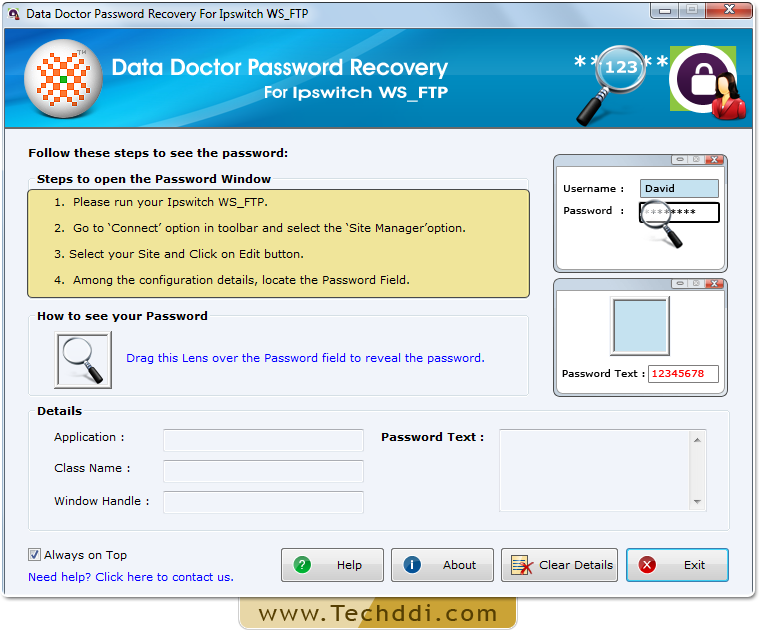 Install Password Recovery For Ipswitch WS_FTP. Run Ipswitch WS_FTP Software and Go to toolbar to select ‘Connect’ Menu. Choose ‘Site Manager' option from ‘Connect’ Menu. Select your site and click on edit button to proceed. Locate password field, among configuration details.